Do you own a black car ? Do you find it hard to keep a black car clean and free of swirl marks and scratches ? Do you keep having car detailers tell you black is the hardest colour to restore and that paint correction can be difficult with black ? 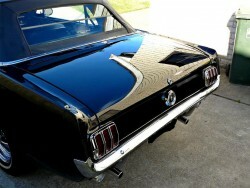 Do car detailers keep telling you that it is also expensive To Restore Black Paint ? Well, surprise shock about black. Black is ” NOT ” the hardest colour to restore and it’s not the hardest colour to fix with paint correction. It is in fact the easiest colour to restore.